That was the message that superstar Jamaican sprinter Usain Bolt delivered to more than 70 youngsters at the Alpha Boys’ Home on Wednesday, as the two-time Olympics sprint double champion and 100m and 200m world record holder took time to encourage the group. 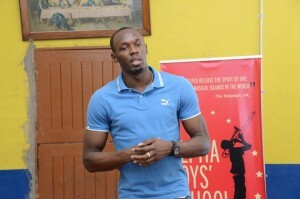 Bolt spent close to an hour motivating the youngsters through his own experiences and journey to global recognition and also used the opportunity to donate approximately 80 pairs of Puma spikes, signed memorabilia, as well as Usain Bolt-branded tees and caps to the facility. 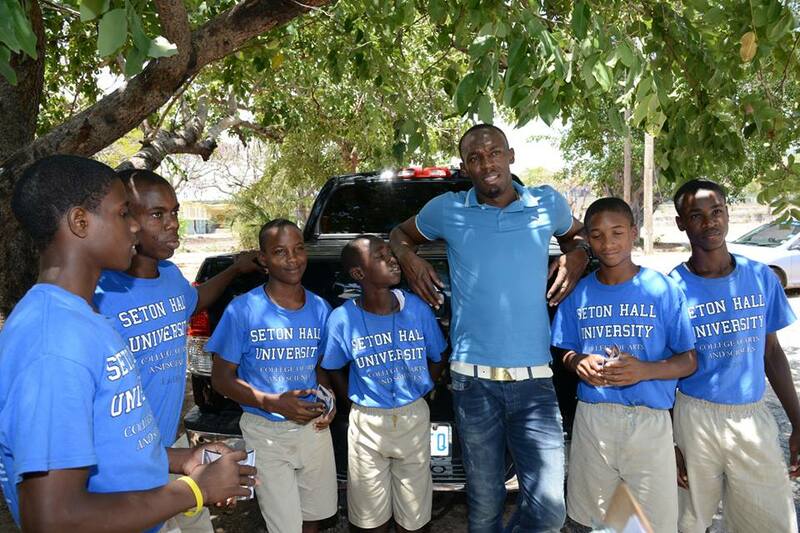 The 27-year-old, five-time IAAF World Male Athlete of the year told The Gleaner that he is extremely pleased to be able to give back to the community and is hoping to have left a mark on the youngsters. “I hope the boys can believe that whatever their circumstances are right now, they can become anything their heart desires. 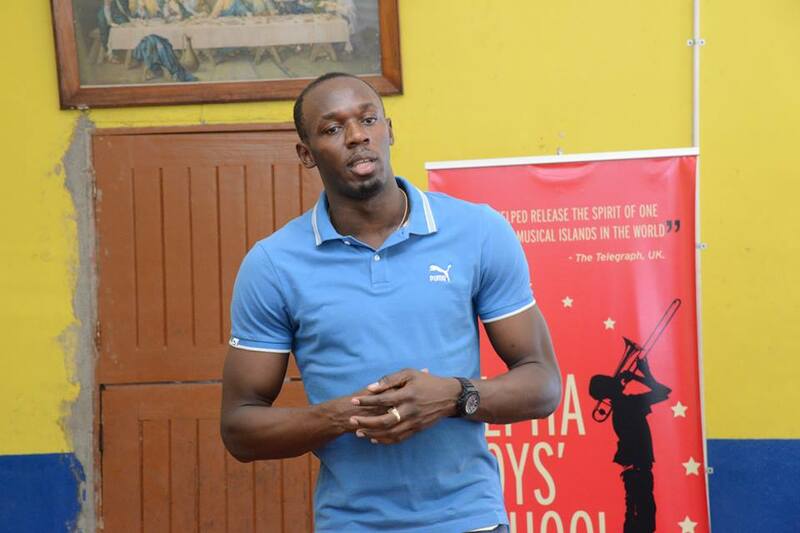 A lawyer, teacher, doctor, prime minister – even the next Usain Bolt,” said Bolt. 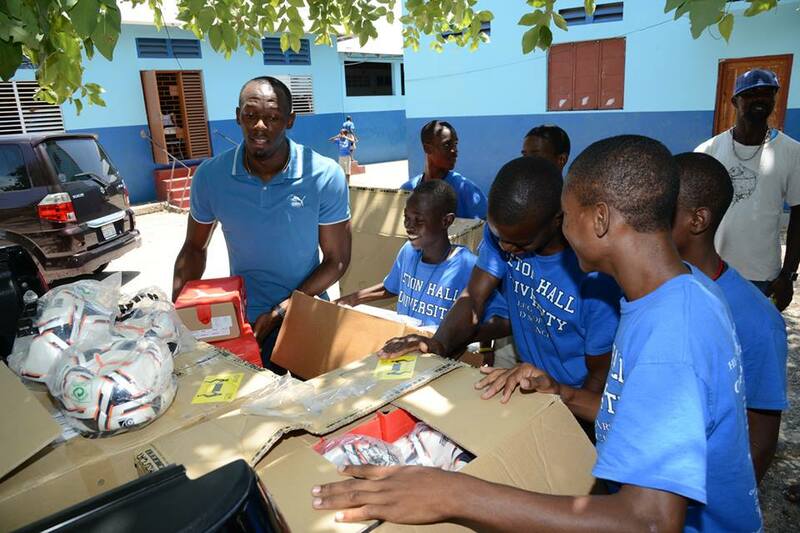 “It’s a joy for me to able to give back. 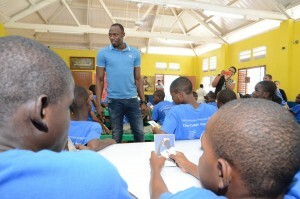 Honestly, it’s the greatest part of my success to be able to give back,” Bolt added. 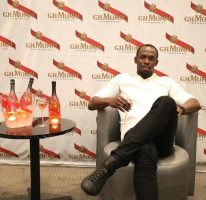 The initiative, though not a part of his Usain Bolt Foundation commitments, came about through a request made to the athlete’s executive manager and best friend Nugent Walker – a request the world’s fastest man could not overlook. 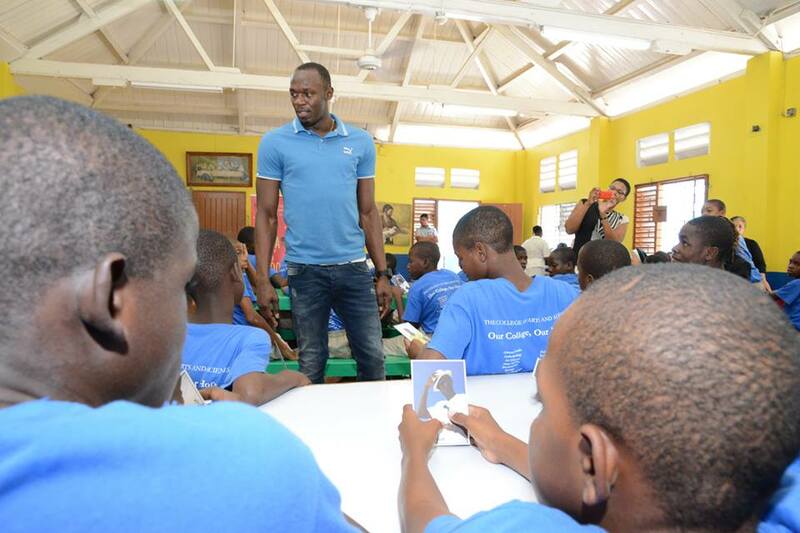 “It’s not a project … but more just me taking the time out to have a conversation with the boys and share my experiences and offer a few gifts,” Bolt told The Gleaner. 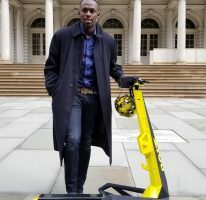 “A few months ago, a representative from Alpha Boys’ Home reached out to Nugent (Walker) asking if he would consider asking me to visit the boys’ home. NJ shared the convo with me and I considered it a no-brainer to accept the invitation. The rep thought it would be great motivation to the boys for me to come by and just share my experience with them and, most important, believing in one’s dreams and working hard towards it. 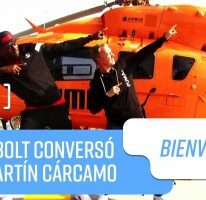 I said to NJ, however, I just didn’t want to go share just words of encouragement, but also offer some gifts, thus we contacted Puma and got some items,” Bolt, one of the German sportswearcompany’s most recognisable brand ambassadors, explained. 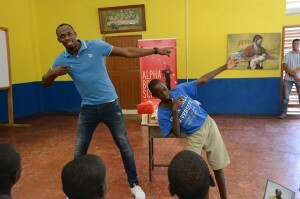 The athlete has also been leaving his mark through other efforts facilitated by his charity organisation such as a $250,000-donation towards the tiling of the floor at the Mustard Seed home in Montego Bay, the installation of playground equipment for schools in Portland, the purchase of a school bus for his alma mater, William Knibb High, as well as several other community- and school-based projects.